If you’re Netflix or Spotify—or even Amazon, for that matter—you are probably feeling pretty pleased with yourself. And why not? You’ve got a market-leading position, billions of dollars to spend, and millions of subscribers paying for your content. The world is your oyster. That comfortable feeling likely fades quickly, however, whenever you stop and think about a certain consumer electronics company whose logo is a piece of fruit with a bite taken out of it. After all, Apple (AAPL) has a market value of $600 billion, more than $200 billion in cash, and a direct pipeline into the homes and entertainment budgets of hundreds of millions of people. A report from the Wall Street Journal has added even more fuel to those fears, saying Apple plans to finance and produce its own original TV and movie content. The paper says Apple has “been in talks with veteran producers” about buying rights to programs, and has also approached senior marketing executives at movie studios and TV networks about hiring them for its new venture. 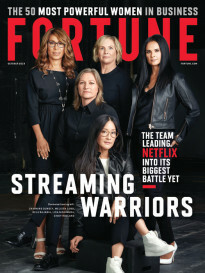 Netflix (NFLX) might be able to relax somewhat because this project appears to be less about going head-to-head with the streaming service and more about adding value to Apple’s existing music service. The company is said to be looking at launching a few TV shows and possibly a movie or two, rather than a Netflix-style slate of dozens of original shows and films. There have been reports in the past that Apple might consider acquiring Netflix, but analysts who follow the company closer have said Apple would be more likely to spend its own money on producing original content rather than taking on a $60 billion acquisition. While Netflix might be able to breathe a little more easily, Spotify can probably feel Apple’s breath on the back of its neck as the technology giant’s move into this area sounds like a direct shot across Spotify’s bow. The latter has been trying to branch out from music content—from which it is almost impossible to make money thanks to the draconian licensing terms demanded by record labels—as it prepares for a potential public stock offering. 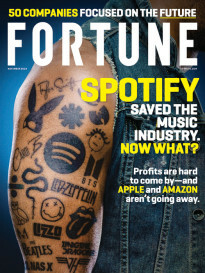 At the moment, Spotify loses hundreds of millions of dollars a year because it pays out an estimated 85% or so of revenues to license the music it streams. That’s not a great financial foundation for a public share issue. So the company has been moving further into video with plans to offer a slate of shows and features. Last year, it hired long-time MTV executive Tom Calderone to head up those efforts. Apple has taken a few small steps into the video content arena over the past year, including concert films by the likes of Taylor Swift as well as a six-part series based on the life of hip-hop producer Dr. Dre called Vital Signs. But it appears the company is planning a major push to create TV shows with a large following, like Netflix’s Stranger Things or HBO’s Westworld. In addition to Spotify, that will bring Apple into direct competition with Amazon (AMZN) as well, which has been spending considerable sums to finance TV shows like Transparent, and to buy the rights to movies like Manchester by the Sea, for which it recently won a Golden Globe. Unlike Spotify, however, Amazon has enough cash and spending power to compete with Apple without too much trouble.